Issue 16 of the Official Star Trek Starships Collection brings you the Ferengi Marauder model ship, the first major alien ship to be built for Star Trek: The Next Generation. 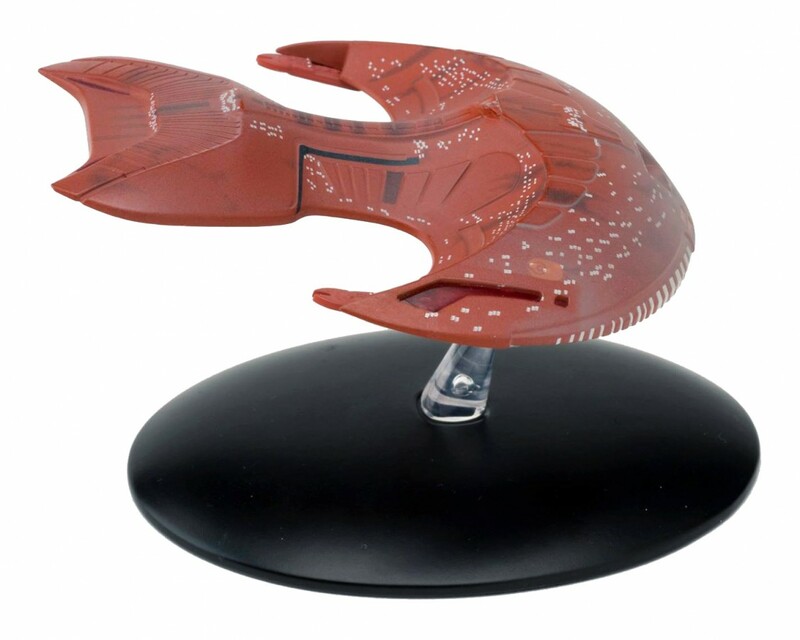 The ship was designed by Andy Probert, who was inspired by the shape of a horseshoe crab, and was intended to rival the Galaxy-class Enterprise-D. 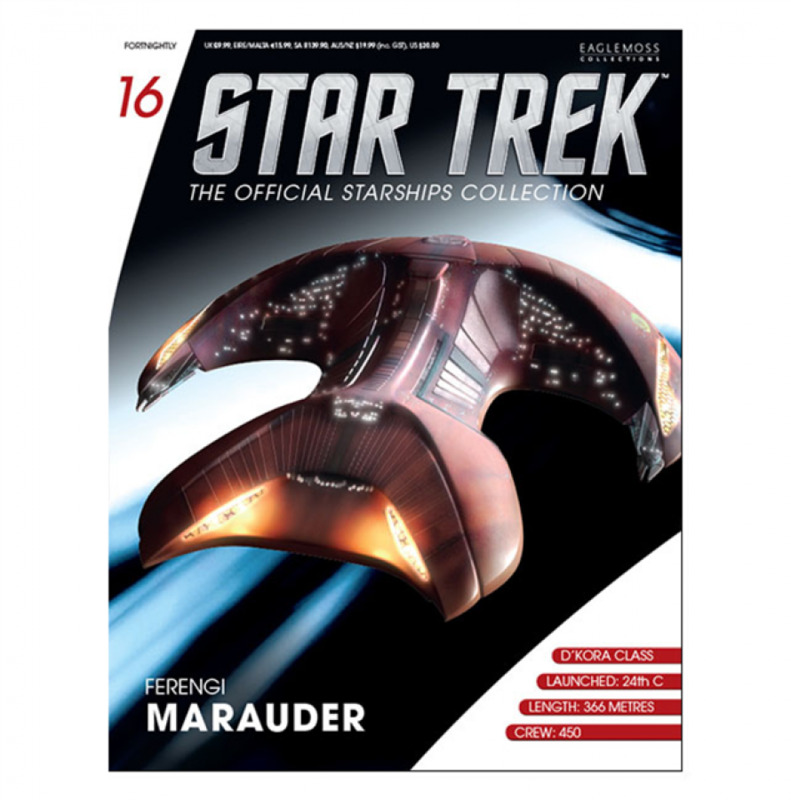 Inside the magazine we go into depth with the design process of the Marauder, as well as the creation of the Ferengi of themselves.